For additional information about this book, visit the website www.marriagedrama.com. 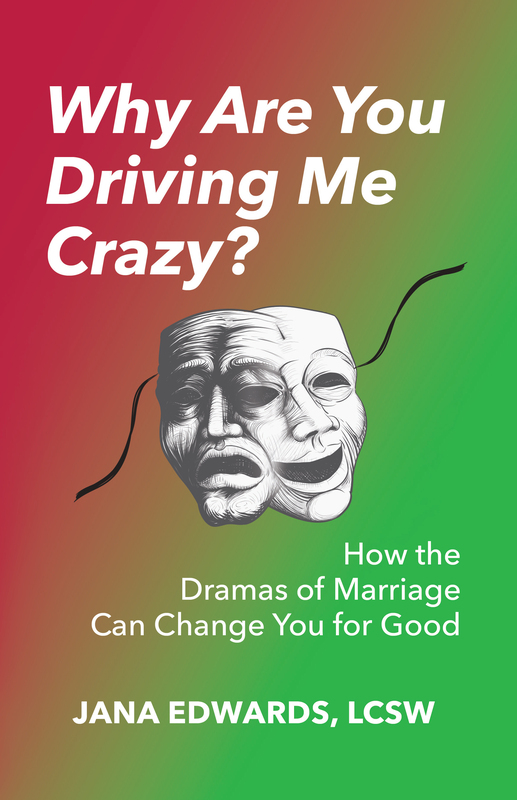 Author Jana Edwards brilliantly makes the case that the “crazy-making” we experience with our spouses is the best way to achieve positive, permanent change in our lives. Edwards uses real-life dramas, chosen from the more than two hundred couples she’s treated, to illustrate how to harness and redirect these emotions toward change. She also clearly explains the science behind how our brains choose exactly the right partner for us and how our relationships will help us grow when we engage in, rather than avoid, marital conflict. A licensed clinical social worker and board-certified diplomate in clinical social work, Jana Edwards has specialized in treating couples in her private practice in Denver, Colorado for over thirty years, and she teaches a course she developed for couples therapists entitled “Neurodynamic Couples Therapy.” She has twice been named Most Distinguished Clinician by the Colorado Society for Clinical Social Work and recognized as a Master Scholar by the University of Denver Graduate School of Social Work. Ms. Edwards has been married for thirty-three years and has two married stepchildren and five stepgrandchildren.